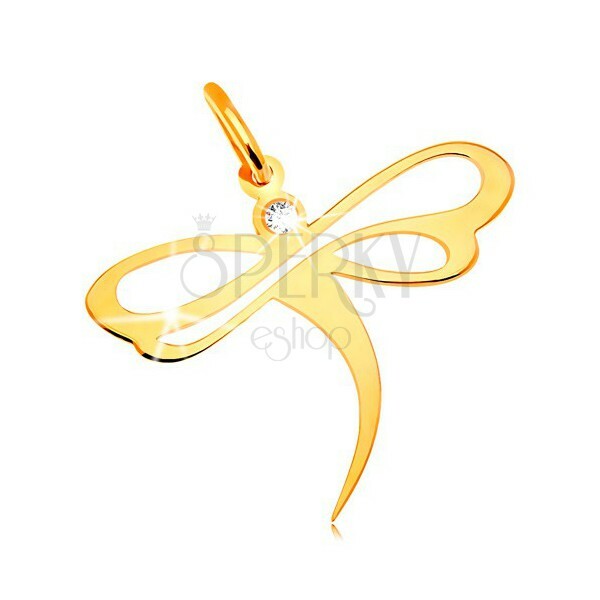 Pendant made of yellow 14K gold, shiny dragonfly with clear zircon on head, slightly waved body, spreaded wings with cutouts. 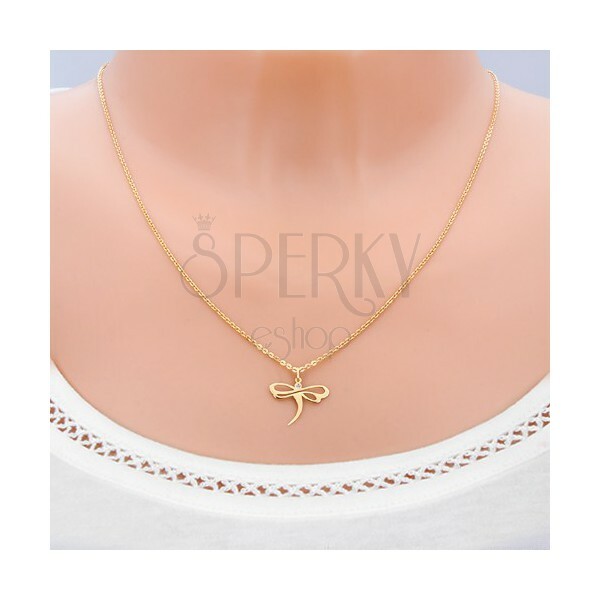 The 585 gold pendant consists of a flat flying dragonfly with shiny surface that has a zircon head, slightly waved body and two pairs of wings. 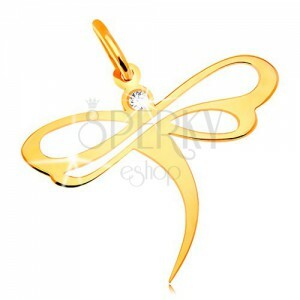 The wings of the dragonfly are adorned with decorative teardrop cutouts. The pendant clasp is in oval shape.